/ Build an app on your own with Instant App Wizard. Build an app on your own with Instant App Wizard. Most businesses consider apps a necessity, but are usually not excited about committing considerable time and resources to the project. For small businesses, the task may seem simply overwhelming. Instant App Wizard (www.instantappwizard.com) can take the sting away from building an app for your business. In as little as twenty minutes, you company can have a great and functioning web based app. Fees are low and based on usage. You can start small and if your app becomes popular (and making you a few dollars), you can upgrade your account. With weekly training each Wednesday night and a team that is eager to please, Instant App Wizard is the place to go to get away from the noise and confusion of app development. A great feature is integration into your existing social media channels. 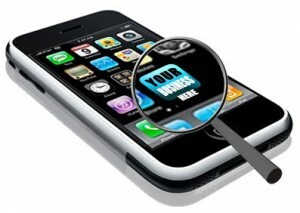 Leveraging social media can create a buzz for your app as well. Your app allows you to send texts and special deals in just a click. So if you have been thinking about how do I get started with building an app, check out www.InstantAppWizard.com. The place where building an app is fun and good for your business. What in the App is this About?